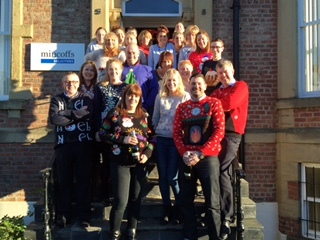 Mincoffs team are proud to support and raise money for the Evening Chronicle Sunshine fund, through wearing our Christmas jumpers for the day and donating money. The Sunshine Funds Christmas Jumper Day helps to support local children in the North East and help change the lives of disabled children. All money raised will go towards buying youngsters and their families’ much-needed specialist equipment, and help grant wishes for children with disabilities throughout December.